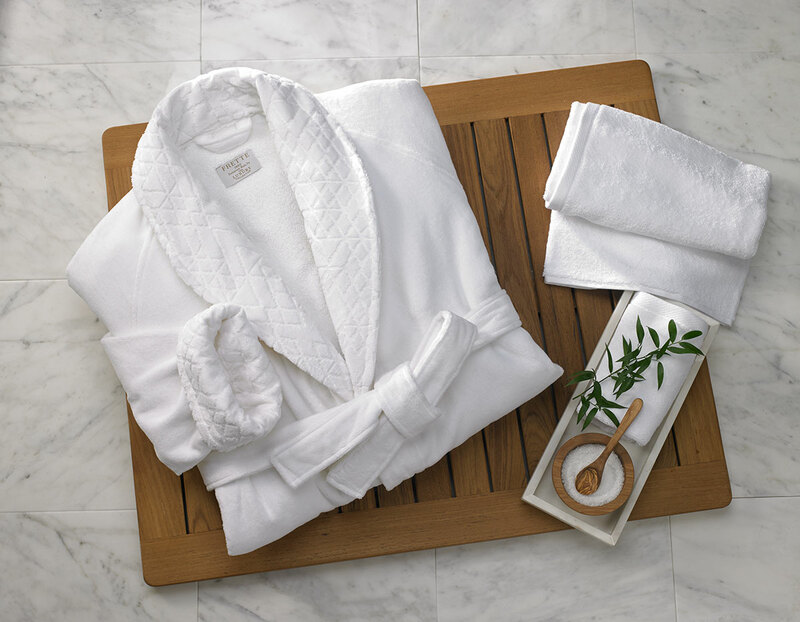 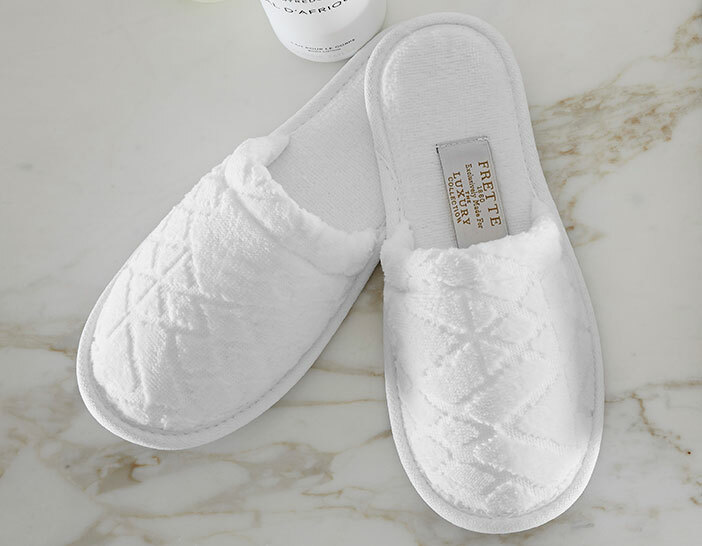 Embrace individual spa bliss when you slip on the Frette Velour Robe from The Luxury Collection. 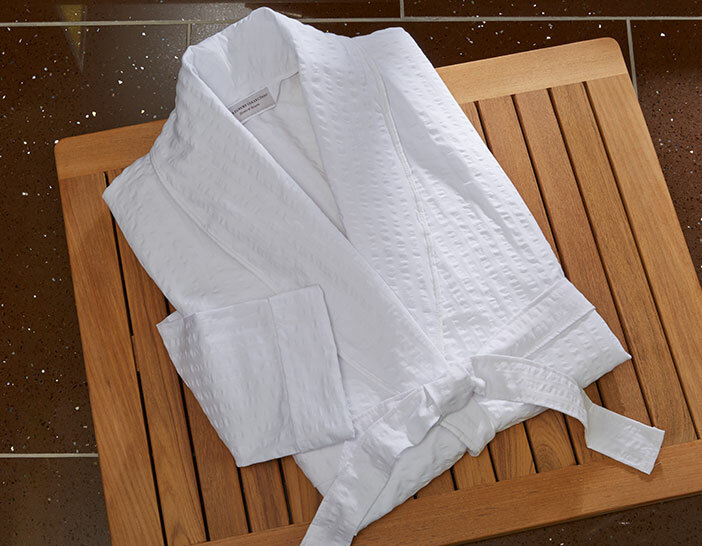 Crafted of the softest cotton, our robe's shawl collar and cuffs are embellished with a diamond jacquard pattern with an adjustable belt. 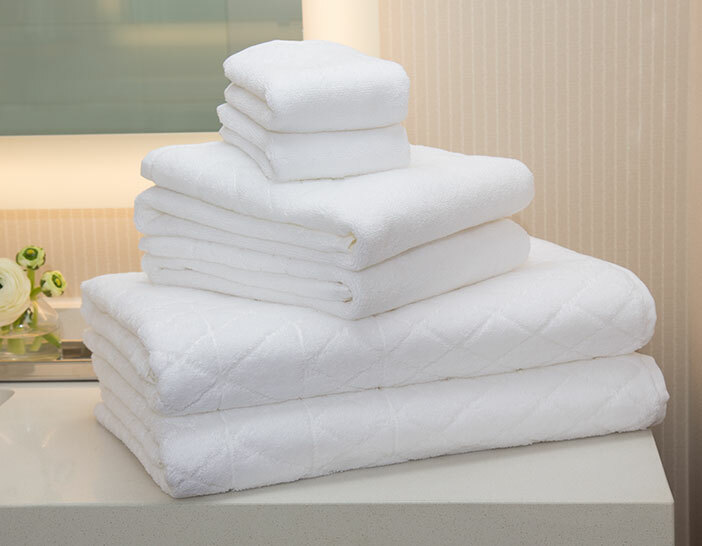 It can be worn as a traditional robe, or slipped on after a bath or shower for a luxurious way to dry off.